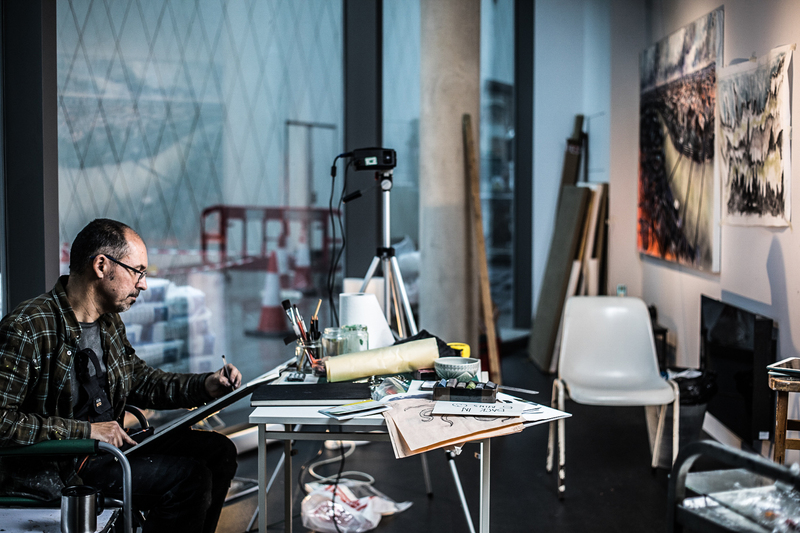 Join Bankside Hotel in the courtyard at the Maker in Residence Studio for an evening of Q&As with artist Luke M Walker who will be nearing the end of his 3 month residency at Bankside Hotel's studio. Luke is currently one of the co-founders of a new collective, (due to be launched in the next few months) with a focus on protecting the wilderness and highlighting environmental issues. Luke is a trained Interior and Spatial designer and ran a Design Research Studio at Chelsea College of the Arts for several years. The collective was the first one to focus on sustainability and eco design, which gained a reputation for creating a series of Pavilions for Eco build made from recycled materials such as Speedo swimsuits and recycled newspapers. Luke M Walker’s art derives from his own explorations of the environment, primarily through walking. His most recent art involves collecting specific data on each walk and then translating his findings and data into paintings. These paintings depict not only the activity of walking and painting, but also explore concepts of time and distance. It is these spatial, temporal, and mobile qualities of his work that make Luke M Walker’s work perfect for Bankside. Each body of his work questions the value of human activity, human stewardship of the environment, the role of the artist as a witness, and how these things can be expressed and explored. The Maker in Residence at Bankside Hotel, Victoria Heald, will be running a gold leaf art workshop in our dedicated Craft Space at Bankside Hotel.